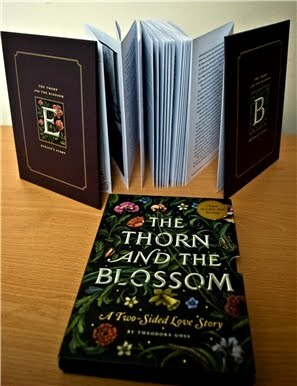 The first thing about The Thorn and the Blossom that will likely catch the reader’s attention is its unusual format: this novella, which is subtitled “A Two-Sided Love Story”, can be read in two directions, giving readers the chance to decide which narrator they want to begin with and thus providing two very different reading experiences. And as you can see below, the book, with its accordion-fold binding, is absolutely beautiful as a physical object. But let me tell you what The Thorn and the Blossom is actually about: Evelyn Morgan (whose story I started with, in case you’re curious) is a poet and literary critic who we first meet when she’s on holiday in a small Cornish village. Brendan Thorne is the son of a bookshop owner in said village, and also a scholar himself, with an interest in medieval romance. The two meet and immediately connect; The Thorn and the Blossom then follows them over a number of years, as they lose and find each other again. The Thorn and the Blossom was one of my most eagerly anticipated releases of 2012, chiefly because of Theodora Goss’ lovely short fiction (some of which you can read online). As I was hoping, the book is full of elements I love – folklore, scholarship, echoes of medieval literature, and plenty of intertextual references. Although Goss’ style is very much her own, what she does here reminded me slightly of other authors I absolutely love, such as A.S. Byatt or Elizabeth Hand. One of the most interesting aspects of The Thorn and the Blossom is the fact that the fantasy elements are subtle and always debatable. The connection between Evelyn and Brendan’s story and the medieval romance “The Tale of the Green Knight” is made obvious by the narrative but never outright stated, which leaves room for alternate readings. The same goes for Evelyn’s fantastic visions – I decided to take them at face value, but that’s certainly not the only possible reading. As a fantasy lover, I have of course nothing against fantastic elements that are presented unambiguously, but in the case of The Thorn and the Blossom the ambiguity worked well and contributed to tying these elements with the novella’s general themes. As for the love story, it very much surprised me to enjoy it as much as I did, considering that it uses one of my least favourite romance tropes ever: the idea of destined lovers. Contrary to popular belief, the reason why I dislike this trope is not because I’m bitter and heartless and cynical and hate love. It’s rather because this kind of story tends to erase or minimise the things that interest me the most about love stories: the choice to be there day after day, even when things get hard; the effort; the purposefulness; the frailty and chance factor inherent to every romantic relationship. To me, these don’t make love matter less – they make it matter more. And my favourite love stories are usually the ones that acknowledge this. 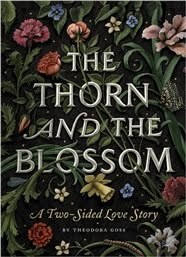 The Thorn and the Blossom is not one of these stories, but a story that explores love from a mythical, larger-than-life perspective – and it’s probably very telling that I really enjoyed it anyway. I think that what made it work for me was the fact that the romance was simultaneously extremely important and kind of tangential to Evelyn and Brendan’s lives. Both lovers pull a disappearing act on the other at some point, but neither is left pining (or not just pining, anyway): they carry on with the business of living. They feel the loss acutely, but still they have other interests, intellectual pursuits, passions beside their passion for each other. Their love story is realistically framed among these other passions, but is never lessened because of it. This is how I like romance to be approached: love matters tremendously, but most of the time it’s something that happens while we’re busy living in other ways. The stories we usually tell about love frame it as either the one and only thing worth living for (especially in women’s lives) or a complete waste of time. However, acknowledging that it exists alongside other things in our lives doesn’t have to cheapen it in the least. On this note, I absolutely loved the ending of Evelyn’s section: I don’t want to give it away, but the way it captured the coexistence of loss and contentment was masterfully done. There were plenty of things I loved about The Thorn and the Blossom, but all the same I have to admit I didn’t find it quite as satisfying as Goss’ short fiction. It felt a little like the beginning of something that wasn’t brought into full fruition. Perhaps it was a case of too high expectations? Still, it’s a lovely novella and very much worth reading. Affiliates disclosure: if you buy a book through one of my affiliates links I will get 5%. I received a copy of this book from Quirk Books. This sounds like a fascinating way to read a book, and since I'm one of those people who will often go back and reread a book right away, just to re-experience the book in a way I couldn't have the first time, I like the idea of the double narrative. Also, I've only read one Byatt and one Hand in the past, and it's interesting to think of this as having elements of both, since the two books I read were completely disparate. I so appreciate your thoughts on love especially in terms of romantic tropes. I have tried to explain the "I'm not heartless or cynical" bit before, but not as thoroughly or successfully as you have done here. Plus, the book is definitely going on my list now. Sounds wonderful. I don't read a lot of fantasy, so I wasn't sure that this was for me. Since the fantasy elements are subtle, I might try it. How was the experience reading a book like that? Was it easy to hold the book and turn the pages? Sara: So good to know that others can relate. It's something I have struggled to explain many times as well. Kathy: Yes, it actually was! The fact that it's small and easy to hold makes it more manageable, I think. I actually read most of it during a bus journey and had no trouble at all. I've been attracted by this cover over and over, but when I read the blurb it sounded gimmicky and not like something I'd enjoy...but you have changed all that with your review (as usual! ), and now I'm interested. This is exactly why I read your blog. I am also completely with you on the problems with love stories, especially ones that are supposedly fate-driven. I've read a very few books that had one story in the front, and another on the other side if you flipped it around- but never one bound in such a format. It looks very curious. Is it difficult to hold without sliding around? This was a beautiful review of a very interesting and artfully arranged book. I like the points you make about destiny and love, and had never considered that before. I need to read this when I can. I think there will be a lot in it to interest me. Thanks for sharing your thoughts with us! I'm not familiar with this author, but I love the idea of this book! It's such a unique take on a love story, but it doesn't feel gimmicky. It seems like a really special book! *shakes fist* Curse you, Nymeth! You've done it again, making a book sound unmissable, and I KNOW this is going to be an expensive one! You are a positive menace to my financial condition. Wonderful review, but that goes without saying! People really do think those like us hate love... :) You should see people's faces when I start talking about how much I dislike Romeo and Juliet. Hmmmmmm. I wonder if the publishers would be sweet dears and let me have a copy of this too. It looks so wonderful! I have probably said this a dozen times before, but I am a massive fan of the book as artifact. I wish more books played around with the thingness of books the way Anne Carson's Nox (for instance) did. I shall just say "Ditto" to Jenny's comment above. What a great way to leverage the physical form of a book! I first saw this when one of the blogs I follow received a review copy of it. She was showed it in a video and I was immediately pulled in by its unique format. Is it comfortable to read though? The accordion style looks like it'd be easy enough to hold and get through but I still find it kind of strange. Either way, it sounds like a really interesting read! Can't wait to check it out for myself. This one is already on my wishlist once I heard about the unusual format. Good to know that you enjoyed reading it! I might grab a copy if I ever see it in local bookstores here in Manila. I'm very glad to know that that, despite the gimmicky of the format (in a good way, I'm really curious), the story is worth it on its own. In many ways this sounds and looks like the book I never knew I wanted. I love the concept of its physical structure, and medieval history sounds good to me. I can understand your reasoning for disliking the trope though, I'm not totally against the idea of destinies, but I don't think that destiny should equal no choice. Whether that's literally impossible or not I don't know. Am guessing this book is out in Europe? Priscilla: I can understand why you would worry it'd be gimmicky. I hope that the book isn't marketed in a way that overemphasises the format rater than the writing, because it really does have a lot more than a novel concept going for it. Jeane: It really isn't! As I was telling Kathy, I read most of it on a bus with no trouble at all. Kelly: I hope you do! Steph: I really didn't think it was gimmicky either. 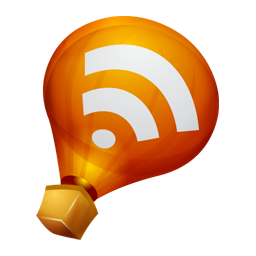 The content lives up to the presentation, and that's what matters. Trisha: Ha - I can imagine the very well indeed. Melody: The cover does help, doesn't it? Jenny: You should e-mail them! I bet they would. Aarti: I know! An e-book edition of this actually exists, but picking which file to start with rather than which side isn't anywhere near as much fun. intoyourlungs: It is! It's small enough that you can hold it easily and flip the pages on which side just like in a "normal" book. Susan: I think the actual pub date is the 17th, so you should be able to find it next week! Charlie: It will be out on the 17th everywhere (I think). I look forward to hearing what you think of it if you pick it up! "Contrary to popular belief, the reason why I dislike this trope is not because I’m bitter and heartless and cynical and hate love. It’s rather because this kind of story tends to erase or minimise the things that interest me the most about love stories: the choice to be there day after day, even when things get hard; the effort; the purposefulness; the frailty and chance factor inherent to every romantic relationship. To me, these don’t make love matter less – they make it matter more." "This is how I like romance to be approached: love matters tremendously, but most of the time it’s something that happens while we’re busy living in other ways. The stories we usually tell about love frame it as either the one and only thing worth living for (especially in women’s lives) or a complete waste of time. However, acknowledging that it exists alongside other things in our lives doesn’t have to cheapen it in the least." Yep, you so rock, Ana. Please never stop writing. I didn't realise it was an acordion book. Stunning. And obviously I love everything you say about love stories and the way they work. I do enjoy many stories of destined lovers (Romeo and Juliet forever), I like the love part most and the destined part comes second/must be handled so well I almost don't notice it - although there's still things I like about the destiny aspect of romance too. However, I always feel happy and often like I'm reading something more layered when the love story revolves around people making a choice to stay and work. The quotes that Debi quoted are exactly the ones I loved from this review. Would it be really shallow of me to say I want to read this because it LOOKS cool? I love that Goss didn't just write a two-sided story; she literally made the book two-sided. I really hope my library orders a copy of this! I've been waiting for my copy of this book! I definitely agree with you when it comes to the trope of destined love. It makes love too easy.